Certified Craftsmen, Inc. handles chimney and masonry repairs; consisting of complete chimney tear-downs & rebuilds, grind & tuck pointing, crown / wash rebuilds, fireplace / hearth rebuilds, smoke chamber renovations and cultured stone installations...as well as many others. 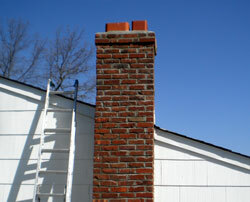 We employ skilled chimney masons to complete your chimney restoration projects. 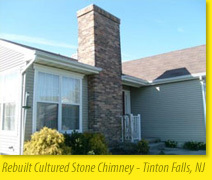 In addition to chimney restoration, we also handle fireplace re-facing and cultured stone installation projects. A long lasting masonry job (brick, block, stucco, cultured stone) is directly dependant upon proper installation. We have seen many masonry projects fail prematurely due to improper installation. Certified Craftsmen has the personnel to complete your masonry project correctly. Give us the opportunity and we will both be glad you did. 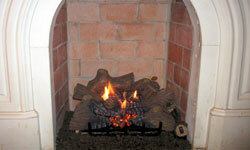 For more information, and to see some of our chimney restorations, see our repair index.